As Rick Cohen wrote (and we published) in November last year, stories of political grandstanding on the issue of refugee resettlement continue to disappoint us, but we follow them because on the other side of all of that are the resettlement nonprofits who are often left to pick up the pieces. 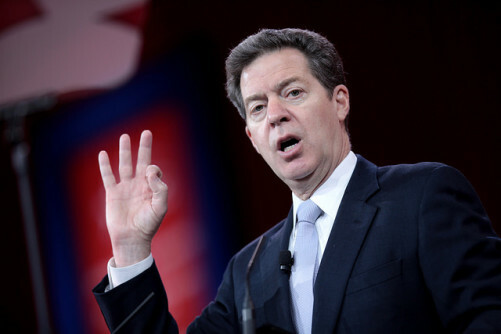 Brownback has been threatening such a move since November, when he signed an executive ordering state officials not to work with the federal government to settle Syrian refugees in Kansas on grounds that they presented “an unacceptable risk to the safety and security of the State of Kansas.” He was, of course, among approximately 30 governors to resist the resettlement of Syrian refugees in their respective states. Some threatened to cut funds from resettlement nonprofits. Some sued the federal government, but none can legally prevent resettlement in their states. According to this article, the federal government treated his concerns respectfully in correspondence, with no movement on his position. In fact, Brownback has since expanded his list of undesirables to now include Iranians and Sudanese. Earlier in the month, Acting Assistant Secretary for Children and Families Mark Greenberg wrote, “If the state were to cease participating in the refugee resettlement program, it would have no effect on the placement of refugees by the State Department in Kansas.” The federal program can just work directly with nonprofit resettlement groups in the area. The state has taken in 13 Syrian refugees from January 2015 through March 2016, according to Brownback’s office.